SPREAD THE WORD about Secure Hunter free Anti-Malware. 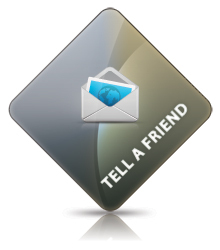 Make sure families & Friends have heard about Secure Hunter free Anti-Malware. Use the form below to send a personal message. Thank you so much for being a member of the Secure Hunter Anti-Malware – or for becoming one (if you’re just joining us!). We greatly appreciate you and we’re always here to help. Don’t have a Secure Hunter Anti-Malware?